 Quality time riding through a tropical paradise with surf lessons and monkeys. Typically, adventure riding companions are your buddies who share the same passion for riding and the open road that you have. But what about your family? Do they ride? Obviously, if your kids are too young they can’t, but it doesn’t mean that they can’t share adventure riding with you as a passenger. In this video produced by filmmaker and ADV Pulse contributor Stephen Gregory, BMW Brand Ambassador Shawn Thomas rides with his daughter Hailey through the tropical wonderland that is Costa Rica. Shawn explains that he had such a curiosity and passion for riding that started when he was a kid and, after years and years of riding, those small moments of pure riding excitement were beginning to be harder to find. But riding with his daughter, he has rekindled that raw excitement through her. Plus, with technology and friends and TV, it is more difficult than ever to really connect with our kids and Shawn found that riding through Costa Rica while talking through their headsets was an amazing way to spend quality time together. Also, the fact that they are in Costa Rica doesn’t hurt. Taking a break from the bike for surf lessons is a great way to keep a pre-teen from getting too bored. Plus the never ending variety of terrain can keep both rider and passenger happy for weeks. Dense, vividly green jungle laced with dirt roads lead right down into beautiful sandy beaches. 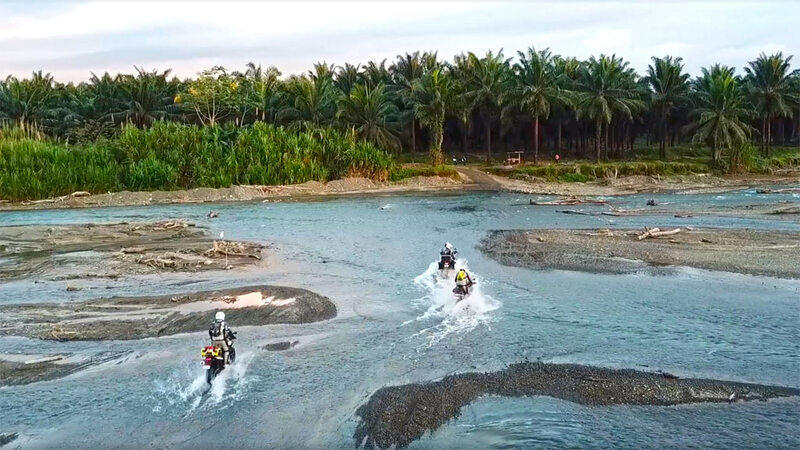 River crossings, white volcanic clay, rustic farmland, and challenging two-track are all there, ready for exploring. So, sit back and enjoy a little family riding time with Shawn and Hailey. 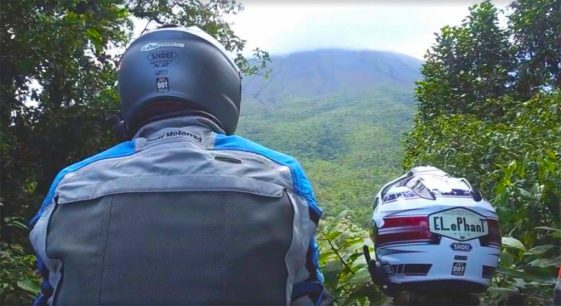 For more information on how to ride Costa Rica, check out the BMW Certified Tour Guide and Instructors at Elephant Moto.